I'm Himanshu walia currently doing my fellowship at Teach for India. Before joining this fight towards educational equity, I worked as an audit associate at KPMG for 1.5 years after completing my graduation from University of Delhi in 2015. Many times I have been asked this question, why did I choose fellowship over a big four? The answer is simple; I identified purpose of my life and choose to pursue it. I teach 30 first grade kids (11 girls and 19 boys) at a low income private school in Jafrabad, Seelampur Delhi. 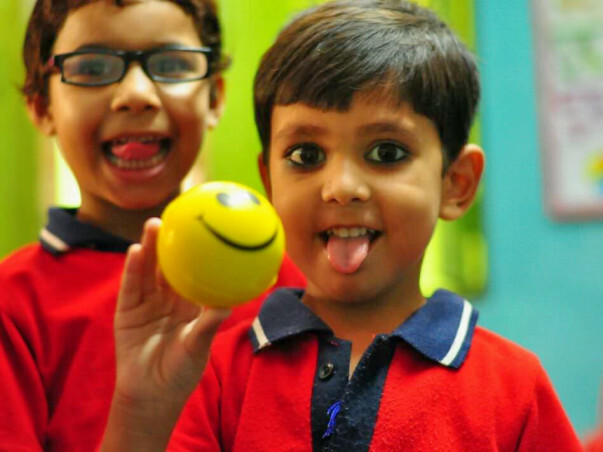 Kids are 5-8 years old and have varied learning style. But they all learn really well through visual aid. Various studies suggest that kids are more likely to remember a concept through visual aid. Plus it makes learning so much interesting and fun. However, the best way to impart learning is through involvement. I’m raising funds to buy projector and a printer to address the need of every student in my classroom. In addition to it, money contributed by you would be utilized to set up a library for my classroom because “reading is to the mind, what exercise is to the body.” The goal is to raise required funds by the beginning of December 2017 but its success much likely depend on your contribution. 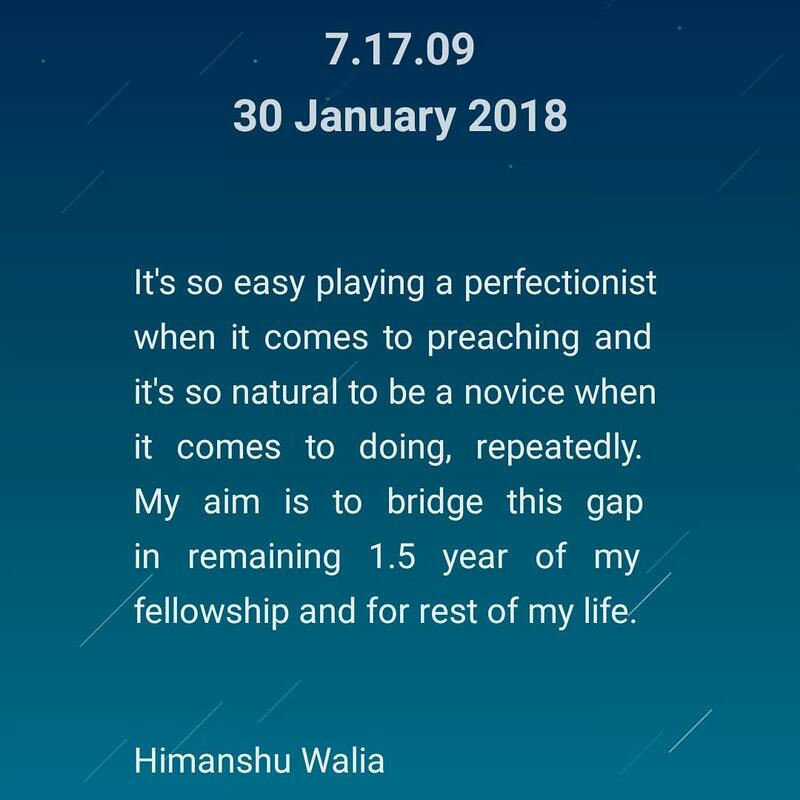 To know in detail about my work, kindly reach out to me at himanshu.w2017@teachforindia. You would be glad to know that through your support, I set up a printer on 20/1/2018 for my classroom. Ask me, how did it help? I have printed close to 1000 worksheets using this printer and some 400 worksheets from outside when the printer was in process. And it is noticeably changing the learning outcomes for my classroom. If we are connected on Facebook or if you have seen any of the videos that I shared, you know how classroom earlier looked like a dull space. 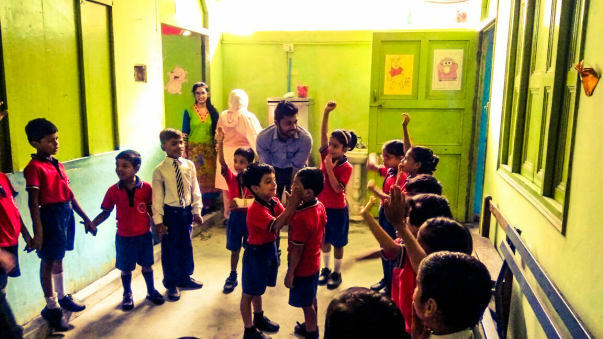 I partnered with Labhya foundation to turn the classroom into an enriching space. They helped me design and paint the classroom. Have a look at one of the Illustration and changed classroom here. Today, I have received the Projector finally. It took a lot of time and research to find the right projector that suits need and budget of my classroom. But now its finally here, I'm hopeful that I would be able to share artefacts with you showing the learning outcomes in the next academic session. Stay tuned for the future updates, in the meanwhile, remember what Nelson Mandela once said, "Education is the most powerful weapon we can use to change the world." You would be glad to know that funds contributed by you are being utilised optimally. It have been used to make classroom colourful and loving. A printer has been bought already and being utilised well to provide enough worksheets to kids (+500 worksheets already). However, It took me sometime to figure out right projector for my classroom, I'm making an order now. Please copy this link in your browser to see the changed classroom. Recent RC assessments supported that average classroom growth in English reading is +0.5 level (from - 0.5 to 0.0). However, 8 students have moved from - 0.5 to +0.5. And 6 students have not moved any level up. +0.5 means they can read grade appropriate stories and answer questions. I have constantly worked in building love, respect, team work and honesty in kids. I would suggest you to keep following my FB profile where I share most of the updates. In my second year of fellowship, my aim is to focus on more holistic development of my kids. With visible growth in Academic achievement, rigor and values and mindset, now my focus would be on providing them access and exposure. I entre the classroom thinking I would teach, but personally my kids have transformed me to a better being. They keep challenging me and I'm open to vulnerability to facilitate my own growth. I sincerely thank you and assure you that every penny contributed by you would reach its desired course, with the humility you have supported us. I aimed at raising 1,00,000 rupees however I have been able to raise only 47% of it till now. It is my accountability to optimally utilize money contributed by you. I would share with you expense report once I buy the resources. I need your continued support on this journey of educating and beautifully nurturing future of this world, to the best of our abilities. Please do sahre this campaign further with your friends and family. 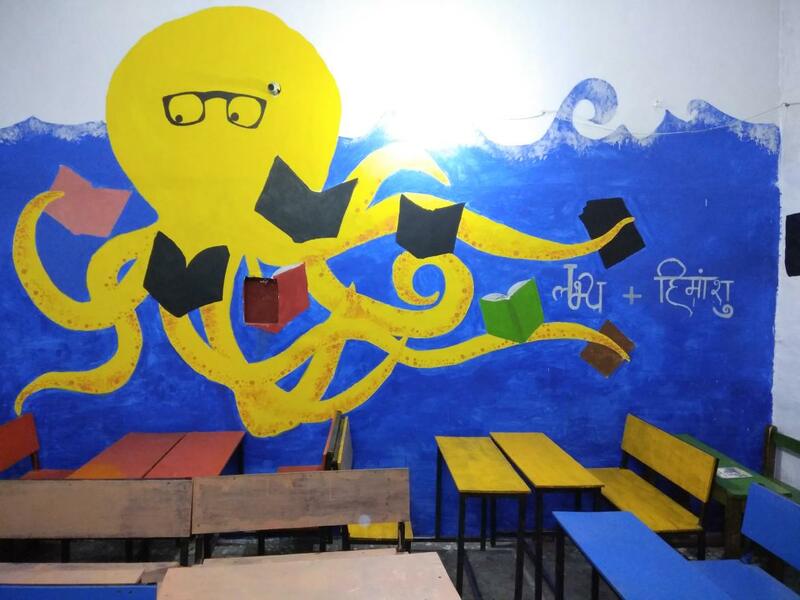 Please feel free to get in touch with me on facebook https://www.facebook.com/himanshuwalia11 or Instagram @himanshuwalia1993 to stay updated on the progress of my classroom.